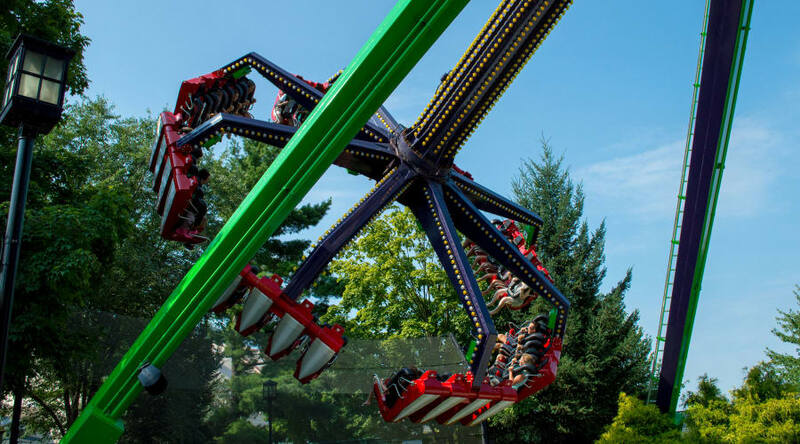 Take a ride 64 feet in the air in the grasp of The Claw℠ ride! This ride will roar through the sky back and forth like a pendulum, while also spinning. This ride may not accommodate guests of a larger size (height and/or weight) due to the configuration of the safety restraint system. Due to the design and sensitivity of the safety restraint system, persons taller than 6 feet 2 inches and/or weighing more than 225 pounds may have difficulty riding.